At the Genesee Grande, we feel a hotel suite shouldn’t feel like home—it should feel better than home. Every suite has a private bedroom, complimentary WIFI, digital cable television, and Aveda™ bath products. When you check in, real life can be checked at the door. Collapse on the bed. Order a snack from room service and watch a movie, or just lie there and daydream. Take a soak in the Brazilian granite bathroom, or work off dessert in the fitness center. The Genesse offers complimentary wifi, free parking, and complimentary airport transportation (based upon availability). The hotel is located 0.3 mile from the Oncenter. Use the reservations link below to book your room. 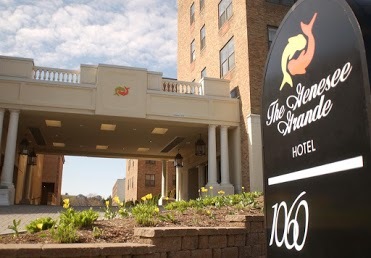 For more hotel information visit geneseegrande.com. To book your room go to Genesee Grande EWE Reservations. Located on the scenic campus of Syracuse University, the Sheraton University Hotel will keep you close and connected to the best of Central New York. The Sheraton features a fitness center, indoor pool, and renovated guest rooms. The Sheraton is located 1.2 miles from the Oncenter and is convenient to the University, the Carrier Dome and a variety of shopping and eating establishments. The hotel offers both a complimentary airport shuttle and shuttle to the Oncenter for all EWE guests. Use the reservations link below to book your room. For hotel information visit SheratonSyracuse.com. To book your room go to Sheraton EWE Reservations. 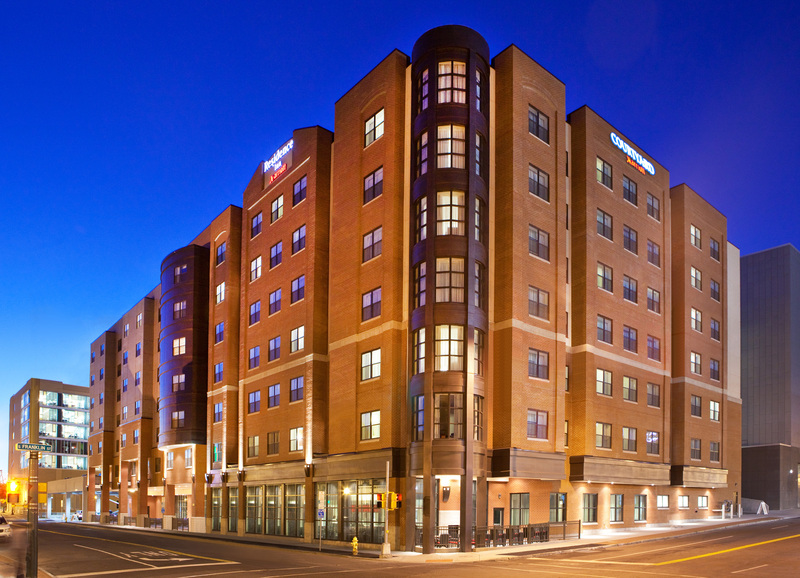 The Courtyard by Marriott, located in the heart of Armory Square in downtown Syracuse and just a few blocks from the Oncenter, features a number of services and amenities to make you productive and feel at home. Stay connected with flexible spaces where you can work, meet or relax, free WiFi throughout and easy access to the latest news, weather and airport conditions via Courtyard’s GoBoard technology. At the center of it all is The Bistro, your destination for a great breakfast, or drinks and dinner during the evening. The hotel strives to keeps its guests connected, productive and refreshed. For hotel information visit CourtyardbyMarriottSYR.com. 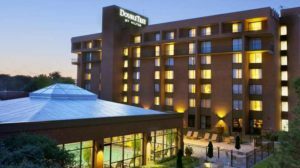 Enjoy new renovations when you stay at the DoubleTree by Hilton Syracuse. The addition of a grand fireplace surrounded by casual seating serves as the focal point of the reimagined lobby and emphasizes the hotel’s commitment to providing guests with a welcoming check-in experience. Seasons Tavern, a new restaurant concept with an award-winning chef, was recently added and the hotel bar has been relocated. These energizing spaces serve as social gathering places where guests can connect. Slumber in style in one of the 250 recently renovated guest rooms. Sink into the new Serta Perfect Sleeper bed™ with plush duvets and linens. Each room offers a 43 or 49-inch HDTV, a spacious work desk with ergonomic chair, an in-room safe, refrigerator and complimentary WiFi. Reflect and revitalize in the heated indoor pool, whirlpool spa or 24-hr fitness center. As an EWE guest you will also have access to a free Oncenter shuttle with advance sign up (based on availability) and coupons for $3 off the breakfast buffet in the restaurant. The Doubletree is located off I-90 in Carrier Circle and ten minutes from downtown, Syracuse University and Syracuse Hancock International Airport. A complimentary shuttle to Syracuse Hancock International Airport is available. Use the reservations link below to book your room. For hotel information visit DoubleTreeSyracuse.com. To book your room go to Doubletree EWE Reservations. The Crowne Plaza Syracuse is proud to be the headquarters hotel for the 2019 Eastern Winery Exposition. 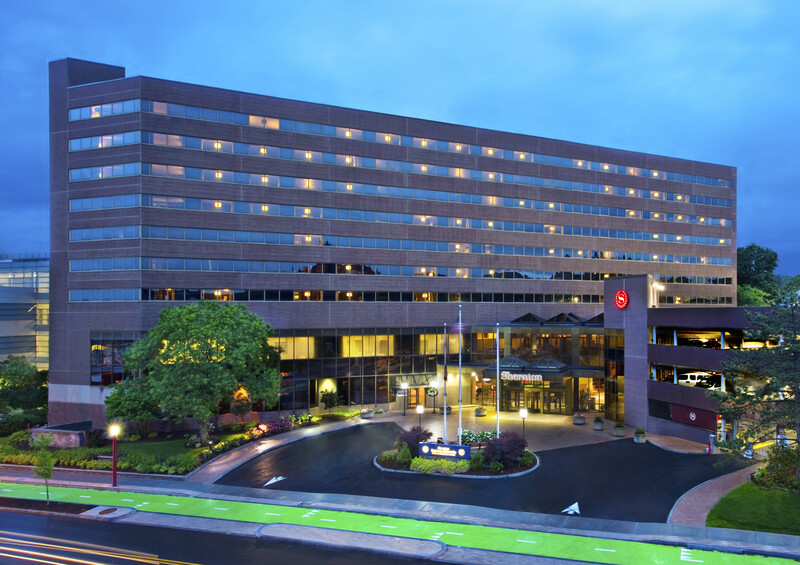 Conveniently located just a half mile from The Oncenter, the Crowne Plaza Syracuse sits in the heart of downtown and offers luxury guest rooms and generous amenities for all travelers. 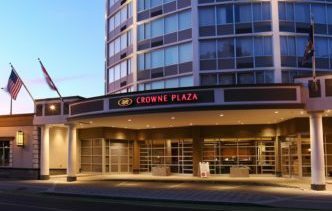 The Crowne Plaza Syracuse is an upscale hospitality gem; featuring granite showers and rain shower heads in all guest rooms as well as luxurious bedding, elegant furniture and fixtures, and on-demand TV. The offerings at this distinctive circular hotel are diverse and accommodating, and the service is world-class. As an EWE guest you will also have access to complimentary coffee, a reduced nightly parking rate of $5.00, and complimentary shuttles to the airport and the Oncenter based on availability. Use the reservations link below to book your room. For hotel information visit cpsyracuse.com. To book your room go to Crowne Plaza EWE Reservations or call 315.479.7000 and reference the Eastern Winery Exposition. About Marriott Syracuse Downtown – Sold Out! 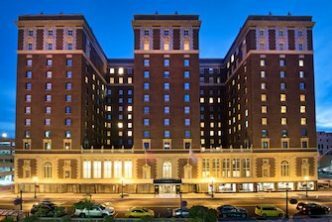 The Marriott Syracuse Downtown originally opened in 1924 and recently completed an extensive, multi-million dollar renovation, preserving the grandeur and opulence of this famed hotel while adding a modern twist. The hotel’s rich history has been maintained in its design and infrastructure, as well as in the notable works of art that grace the property. The new guest rooms are comfortable and spacious, thoughtfully designed to provide all the comforts of home. All guest rooms and suites are equipped with the finest quality furniture and amenities. The Marriott was recently awarded the AAA Four Diamond Award. It is located in the heart of Syracuse, less then two blocks from the Oncenter, making it a good option for both business and leisure travelers. Use the reservations link below to book your room. For hotel information visit MarriottSyracuseDowntown.com. To book your room go to Marriott EWE Reservations. Scam Alert: EWE books its room blocks directly with the hotels listed here. If you are contacted by a third-party housing company representing themselves as an agent of or service provided by EWE, this is fraudulent. To book your hotel, only use the links provided or call the hotel directly.